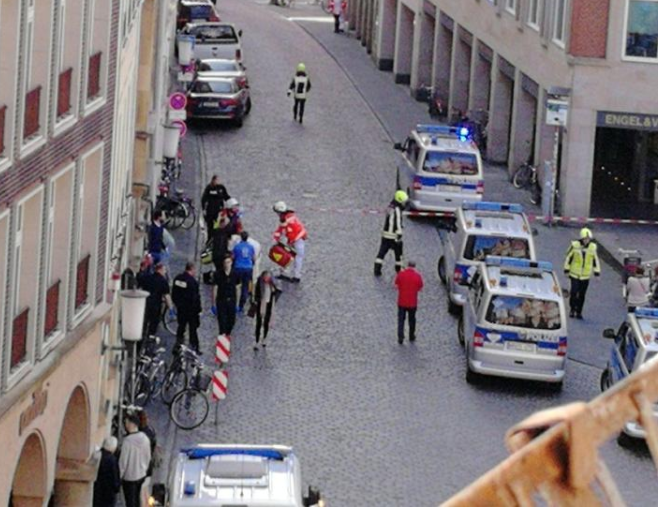 The truck drove into a crowd of peoplen the center of Munster city in western Germany, there were wounded and dead. This is reported on Twitter by the police of Munster. The police also confirmed that there are victims, but the exact number is not known at the moment. The German newspaper Rheinische Post, citing sources, says that three people were killed and about 30 injured. Westfalische Nachrichten with reference to the fire department reports that 50 people were injured. At the moment the area is cordoned off, police officers and rescuers work at the scene. It is reported that the police are also looking for explosives. Law enforcers recommend residents to bypass this area. Also, sources say that the truck driver shot himself. "There are several deaths, possibly including a suspect," the police spokeswoman said, Reuters reports. The police do not exclude that it was a terrorist act.